Under the care of our master craftsmen, your furniture's scratches, dents, worn areas, and water marks will disappear. 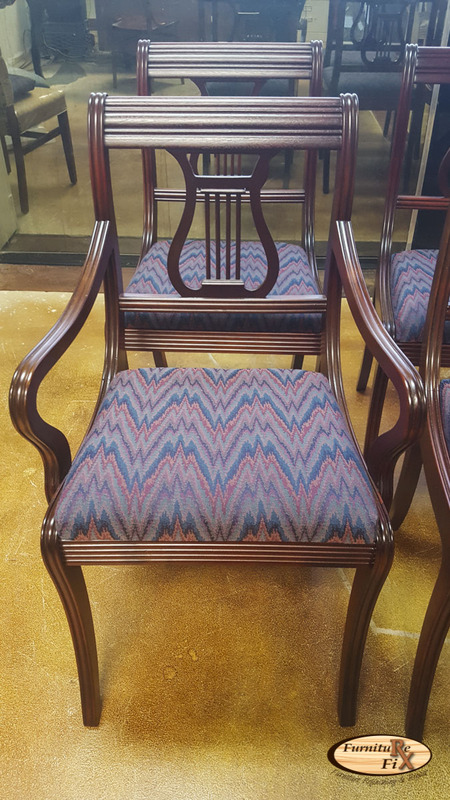 We can restore a beloved family heirloom or antique, or even completely transform the look of an older piece by changing the color, finish, and upholstery fabric. You can bring your furniture to our store, or we can visit your home to care for larger pieces that may be difficult to move. We're experts with dining tables, kitchen tables, chairs, coffee tables, armoires, headboards, and dressers. In addition to caring for the wood surfaces, we can help you with upholstery work, painting, and other related repair. If furniture is damaged by fire, smoke, water, or vandalism, Furniture Fix delivers peace of mind and quality work when it comes to restoring the furniture and other items to their pre-loss condition. We will restore the property as quickly and efficiently as possible to help get your life back to normal, and we keep you informed of progress throughout the entire process. Whether your piece needs a touch-up, a repair, or a total transformation, we can help.